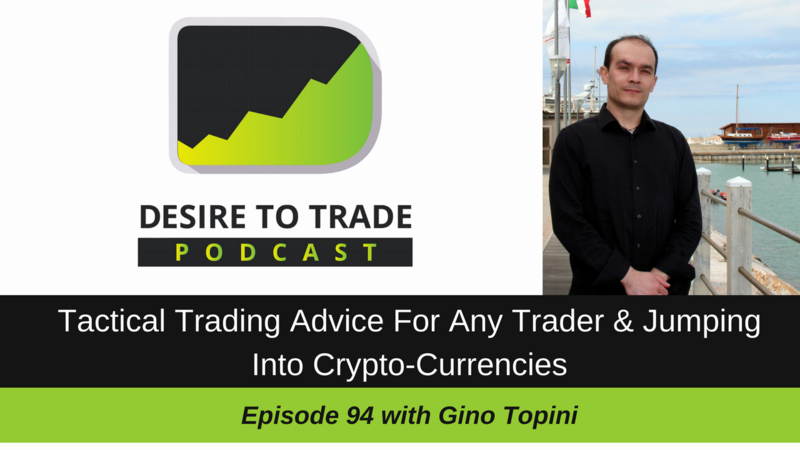 In episode 94 of the Desire To Trade Podcast, I interview Gino Topini, a Forex, stocks & crypto-currency trader based in London, UK. This man is one of the smartest traders I've met. In episode 93 of the Desire To Trade Podcast, I interview Stacey Burke, a Forex trader who has learned about trading the hard way while blowing up some small accounts and making all the mistakes most losing traders make. In episode 92 of the Desire To Trade Podcast, I interview Kiana Danial a trader with a special emphasis on building her portfolio over time. She is helping people grow their wealth by investing. In episode 91 of the Desire To Trade Podcast, I interview Mike Tedeschi, a day and swing trader running a portfolio as well as a trading chatroom. At the time of the interview, he has been trading for himself for over 6 years. 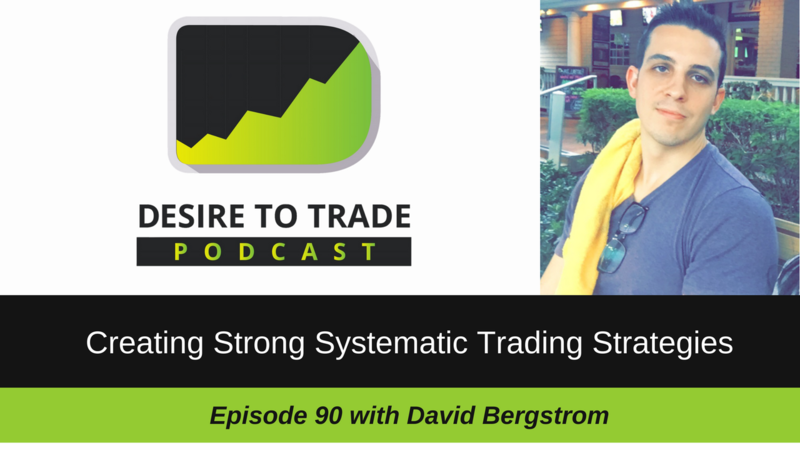 In episode 90 of the Desire To Trade Podcast, I interview David Bergstrom, a trader and a pro when it comes to creating strong systematic trading strategies and testing them.